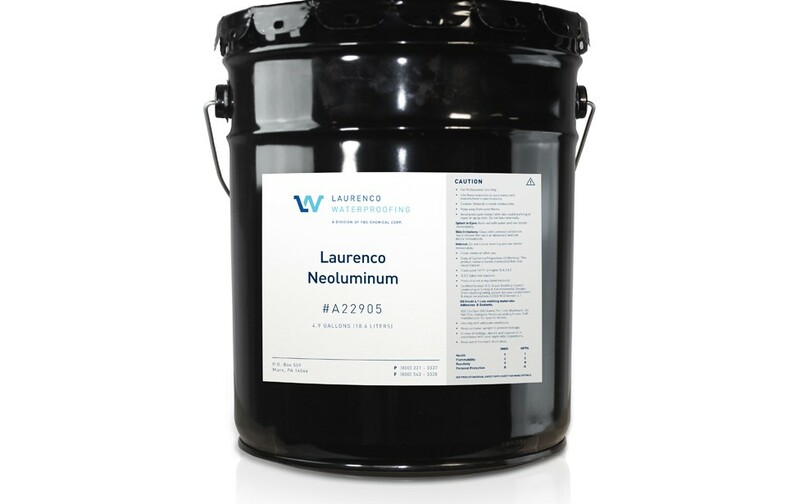 Laurenco Neoluminum roof coating provides the building owner with the ultimate in aluminum roof coatings. Laurenco Neoluminum withstands extreme structural stress without cracking or splitting. Our synthetic rubber offers increased resistance to moisture, extreme flexibility, excellent chemical resistance and an extended life expectancy over common aluminum coatings. By using 4.36 lbs. of aluminum paste per gallon, a brighter appearance is achieved which reduces roof temperature and increases life span.